Postage meters have helped to regulate postage since the 1880s. Today, their application regulates pricing, cancellations, and stamping to sustain the exchange of mail. Budwig’s recessed rubber feet are perfect candidates for postage meters as they’re designed to absorb impact and incorporate non-marking qualities. We use a proprietary blend of thermoplastic rubber that has kept Budwig a leading supplier of bumpers and feet for over 50 years. 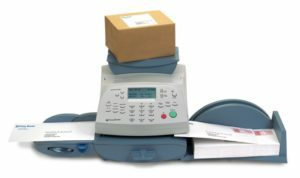 All of our products are synthesized and shipped from our San Diego, California warehouse and we hope our extensive catalog will suit your postage meter needs. Thermoplastic Rubber Feet – Standard Injection Molded Plastic Feet and Bumpers offered by Budwig. Rubber Feet, we injection mold them in over thirty sizes. We mold other materials but thermoplastic rubber feet has become our first choice. We stock them in black and medium grey and offer optional colors and hardness. View all Rubber Feet molded products, Round, Square, Rectangular – in any color available from Budwig. If you don’t find what you need from our existing product line, we can use your design or we will custom design one for you. Along with our other products we keep over two million pieces of inventory to provide off-the-shelf delivery. We will be happy to send you free samples to test or compare. We believe you will find our products to be an excellent balance of quality, performance and price.